Oh my. I'm slowly and surely becoming a bag's person. Of course, I always loved bags, but it's a bit different now. I was never putting quality to my priority list, but I guess I'm getting older and now I feel like investing into a more special, long-lasting designer bag. One of my current crushes is this KARL LAGERFELD signature bag in navy blue. I absolutely love the quality of KL bags, but I love how versatile and spacious they are even more. Even though, it seems like a tiny bag, it fits my Olympus camera, purse, keys and phone perfectly. 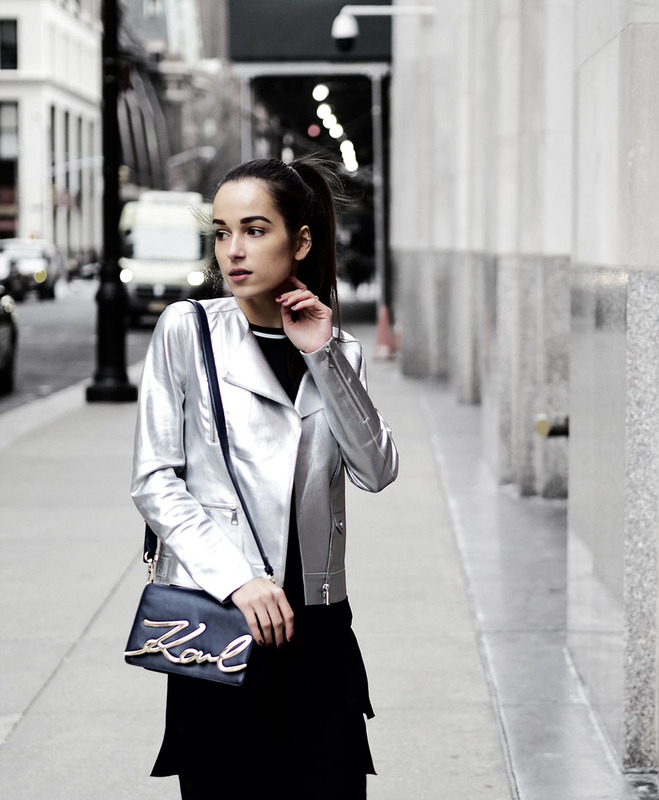 What's more special about this bag is that this navy blue model is from an exclusive collaboration between KARL LAGERFELD and Stylebop.com! I've attached some other colors and designs of the KL signature bags at the end of the post, so don't forget to check it out!